Over the past three weeks, BDF Emerging Choreographer Ali Kenner Brodsky has been fully immersed in our community: working with her company, taking class, teaching master classes, performing, and more. Below is the third and final installment of her process here at Bates. You can continue to follow Ali and her beautiful work on her website! Last week I was able to further investigate and dig into parT III, my duet with Meghan Carmichael. I was grateful to have her here as I was able to further refine/define our relationship. Over the past few weeks, I have stripped away much of this duet. The original duet had dialogue between me and Meghan. Feeling like the text was not supporting the movement, I removed it all from the piece. In doing so, the piece felt strange; strange in that I was not sure what the duet was saying anymore. The text had done it for me. With it cut from the piece my task was to make the movement and gestures inform the viewer… What remains feels more authentic and intentional. By adding slight gestures and delineating the space the duet has shifted and feels like an entirely new piece. Some of the movements are the same but the intention and movement quality has changed. It now feels like it occupies a specific moment in time, that these two women have a specific relationship that unfolds. This final week for me has been about processing. 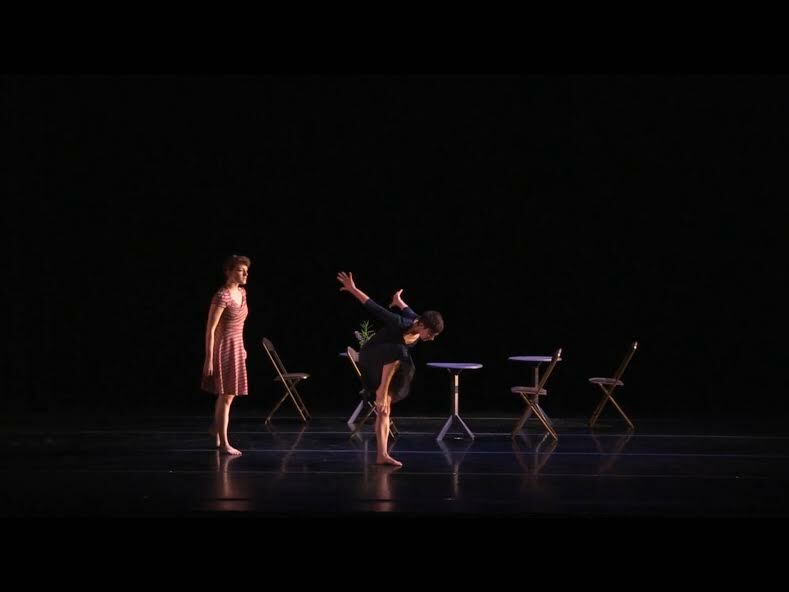 Processing the work that I made with my company the first week, the changes in the duet last week and where I see the work and myself headed as I prepare to leave Bates. I have also been playing around in the studio and generating more material to pull from. I have some solo work that I am interested in expanding and have been noodling around in the studio working out some new movement phrases.